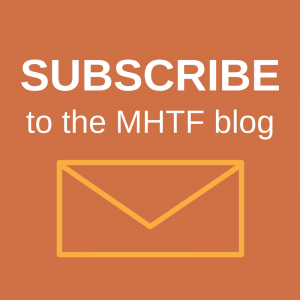 This blog post is cross-posted from Speaking of Medicine. The Collection is a freely available, open access collection of incisive research and commentary on the quality of maternal health care. Following 72 submissions to our call for papers and rigorous editorial and peer review, 18 articles have been published from a wide range of authors and settings: 14 original research articles (4 in PLOS Medicine, 10 in PLOS ONE) and 4 policy and health in action articles. Representing work from low- and middle-income countries including Burundi, China, DRC, Ghana, India, Indonesia, Kenya, Lesotho, Nepal, Nigeria, New Guinea, the Philippines, Sri Lanka, Vietnam, and Zambia, as well as high income countries, the Collection is distinctly diverse, which we believe sets it apart from other collections on the topic. In the session today, I spoke about the commitment of PLOS Medicine to improve access to high quality evidence and to the debates in the maternal health field, and how the three-year MHTF-PLOS partnership hopes to achieve that. My co-panel members Laura Reichenbach from icddr,b, Andrea Goetschius from the Maternal Health Task Force at Harvard School of Public Health, and Vanessa Mitchell from Johns Hopkins University shared their work and experiences in improving access to maternal health knowledge. Dr. Reichenbach shared the fascinating outputs of icddr,b’s work to build capacity around knowledge translation in their division of reproductive health. They developed a short course for researchers to learn how to create “KT briefs” so that research findings could be translated into actionable steps for policymakers. In preparing their short course they conducted a review of KT evaluation strategies globally, and found a considerable gap in tools that are relevant and applicable to low- and middle-income countries, highlighting an important area for more development. Ms. Goetschius, a communications expert, described the extensive work of MHTF in sharing maternal health information, including their aggregate strategies (journal and news scans, including the weekly Global Maternal Health News that has a specific filter for articles and news that are published open-access) and curation – including the development of topic and country pages, a biweekly Maternal Health Buzz to highlight particular topics of importance in the maternal health community, and their growing blog and blog network. 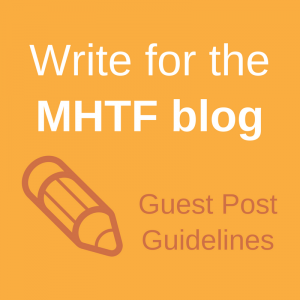 She asked for participants from all over the world to share their resources and experiences with MHTF. Ms. Mitchell reported on a remarkable project in Ethiopia that used network maps (Net-Map) to understand how information and knowledge about reproductive health flow in Ethiopia, at each of the policy, community, and sub-community levels. Join the conference conversation on Twitter with hashtag #GMHC2013! You can also check out the conference program and tune in to the live-stream here.